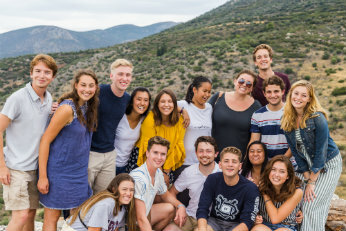 In addition to having all of Rome at their doorstep, University of Dallas students also enjoy a campus located in the heart of the Castelli region – a collection of hilltop towns scattered around two volcanic lakes, Lake Albano and Lake Nemi. 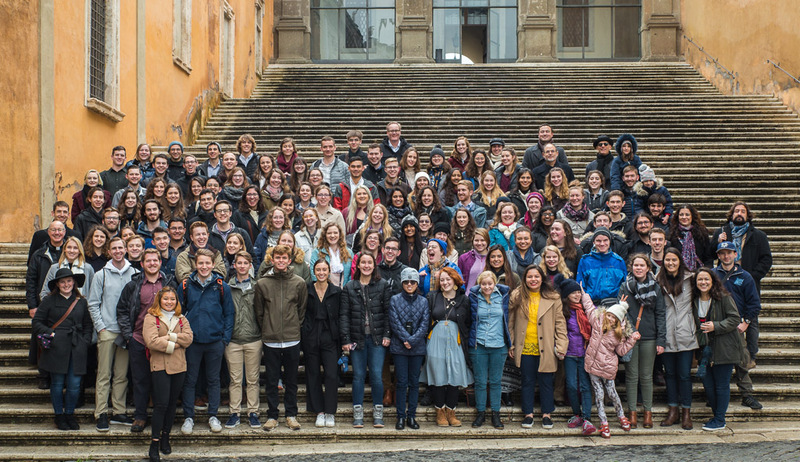 On Saturday, the Fall 2017 class took a day trip to three of these towns – Ariccia, Monte Cavo, and Castel Gandolfo – to encounter the local culture and history right next door to Due Santi. At Ariccia, Dr. Peter Hatlie gave an introduction to the Castelli region as well as a brief lecture on the ancient cult of the goddess Diana that was centered in Ariccia and around Lake Nemi. At Monte Cavo, students hiked to a ridge overlooking both lakes, giving them a phenomenal view over the volcanic terrain and out into the Mediterranean Sea itself. The trip concluded at Castel Gandolfo, beloved as the traditional summer residence of the pope. 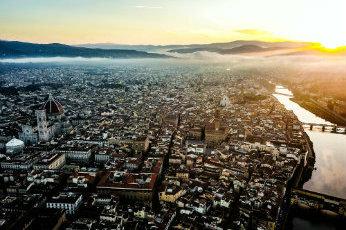 Students were encouraged to come back frequently for dinner or an afternoon gelato, as it is the closest of the Castelli towns to campus. The class also had the good luck of experiencing the excitement around a traditional Italian wedding, as a wedding party spilled out into the piazza during the on-site lecture. They got to join in some of the festivities when the bride and groom came over to get a photo with the students! After returning to campus, students exchanged their hiking clothes for suits and dresses and went to the poolside lawn for the wine tasting. Monsignor Thomas Fucinaro, chaplain of the Due Santi campus and resident wine sommelier, led the wine tasting and helped students note each wine’s unique qualities on a scorecard. Traditional Roman food was served as appetizers, before students and faculty moved to the mensa lawn for dinner, featuring the Due Santi house pasta and wild boar. It was a welcome celebration to conclude a successful first week of classes.